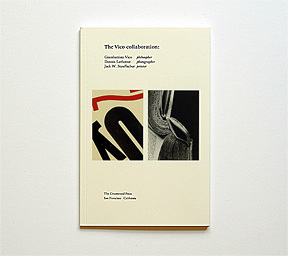 "In the paired series of complementary prints they call The Vico Collaboration the printer Jack Stauffacher and the photographer Dennis Letbetter took on a silent partner: the spirit of the 18th-century Neapolitan philosopher Giambattista Vico." 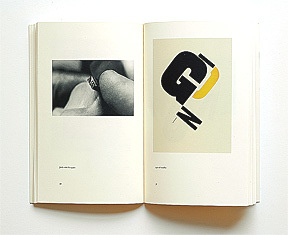 The 64 page catalog plus cover is set in Kis and Meridien types, with 30 images, 19 of which are in full color. The black and white images are duotone. 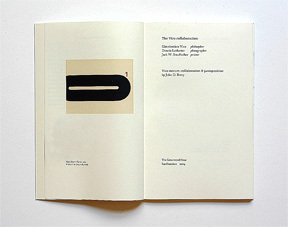 Printed on French vellum and Mohawk papers. Page size is 5.50 x 8.50 inches. The book also surveys Giambattista Vico's three editions of The New Science of 1725, 1730 and 1744.